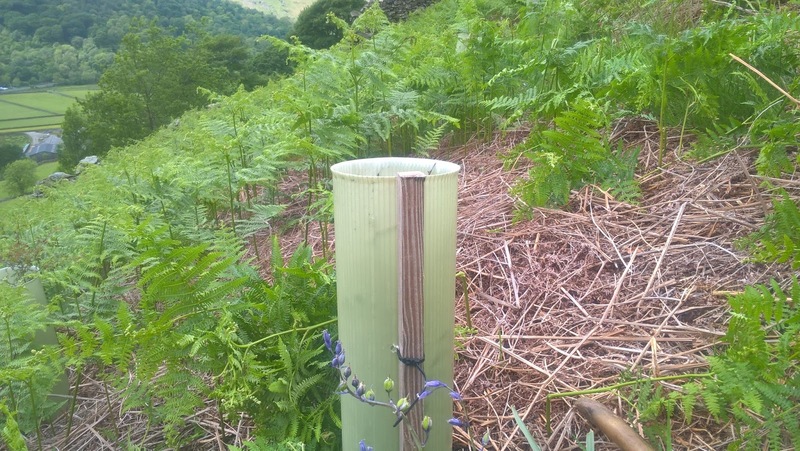 To celebrate this event, the National Trust rangers and volunteers in Ullswater planted native trees and shrubs on a steep bracken covered slope overlooking the village of Hartsop and Brothers Water near the foot of Kirkstone Pass. This image is of two volunteers placing a tree tube over a newly planted tree. 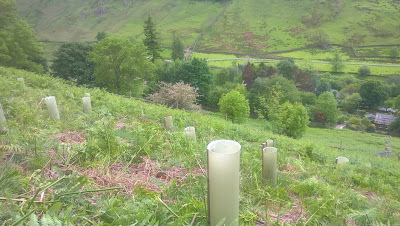 Over thirteen hundred trees and shrubs were planted on this slope over the week back in 2014! Note the vast quantities of dead bracken; this indicates there is a massive rhizome/root system ready to send up many thousands of fresh bracken fronds in Spring. 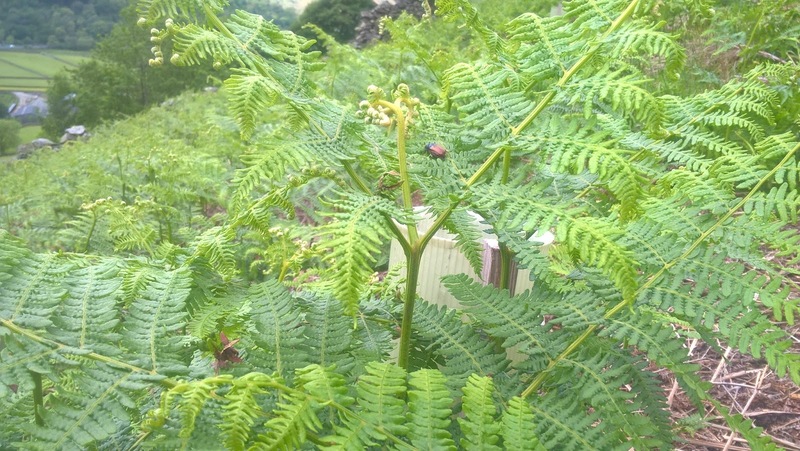 By Summer they can easily exceed five feet in height! Every year in late May or early June the fast growing bracken needs to be knocked back from around the young trees. 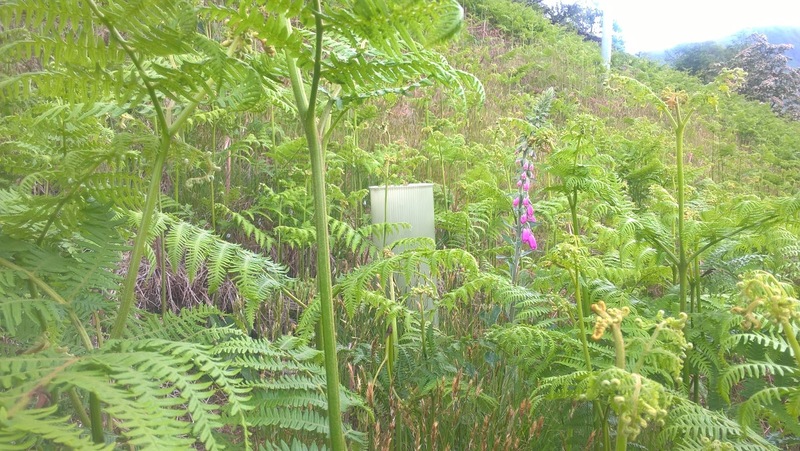 Rangers with great support from volunteer groups undertake this task; if left to grow the bracken will stifle the trees, and rob them of light and valuable nutrients. See above Image. 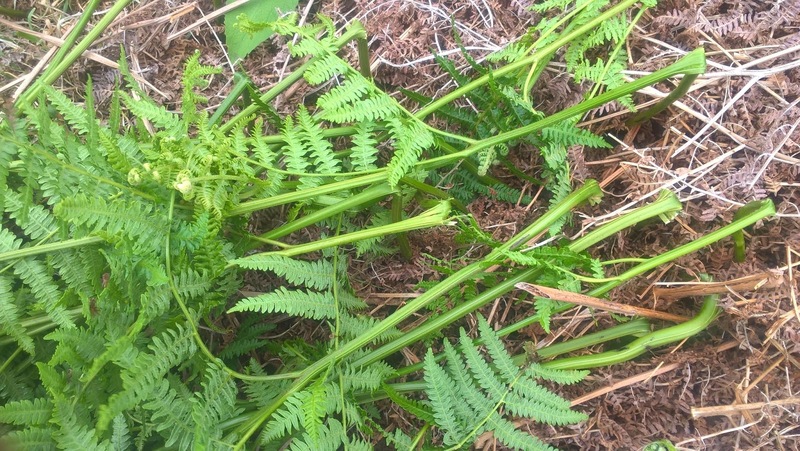 The most effective method seems to be to bend bracken stems over by bashing them with wooden poles; this weakens the bracken's growth for the following year. 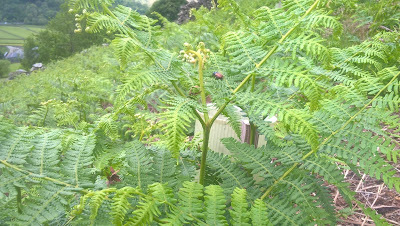 The bracken has been bashed back in a wide circle around the tree to give it the best chance of putting on a good growth spurt. 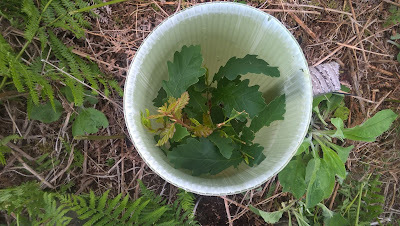 One of the planted oaks in its protective tree tube. 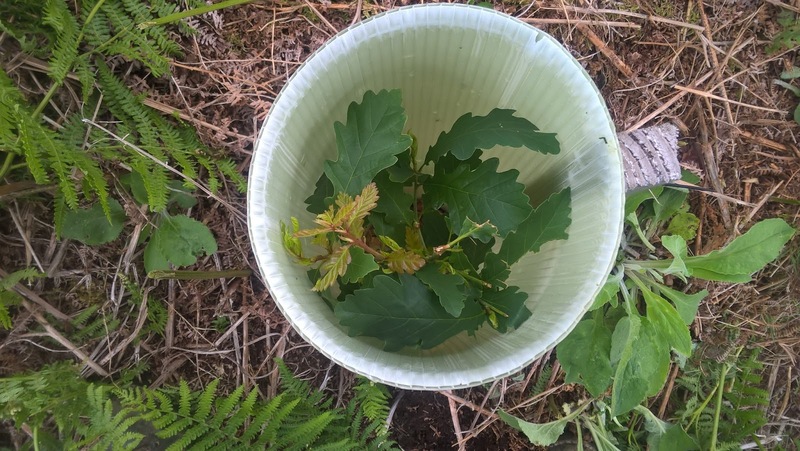 Some prefer the use of "bracken slashers" to wooden poles; an encouraging sign is that natural re-gen is taking place as shown by this oak sapling! 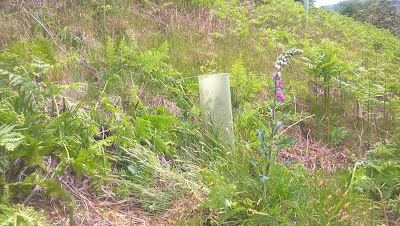 ...after a large area of bracken has been cleared. 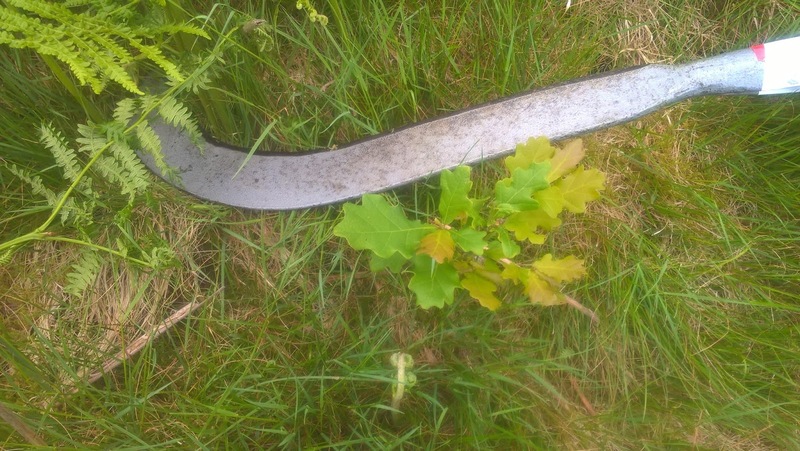 Bracken clearance around the trees should ideally take place twice a year between early and late Summer. 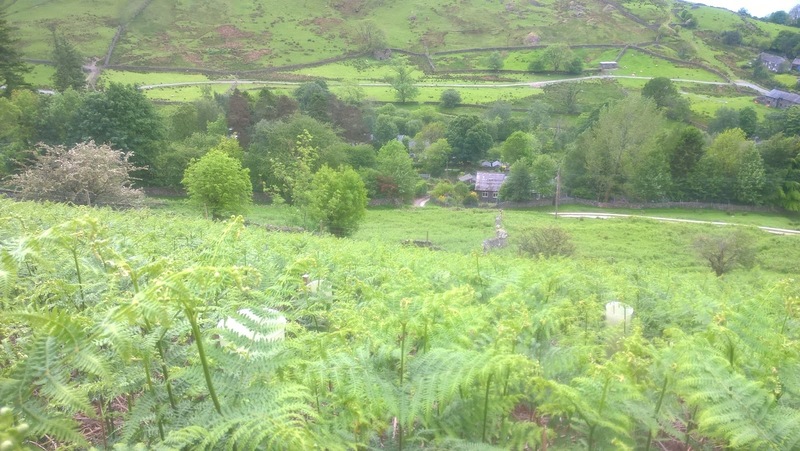 Over the course of three to five years of control work the bracken will become increasingly weak; the hope is that with the appropriate care and attention the trees will, in a relatively short time, have grown big enough to out compete the bracken. Kirkstone pass is the Lake Districts highest pass that is open to motor vehicles. It connects Ambleside in the Rothay Valley, to Patterdale in the Ullswater Valley. It stands at an altitude of 1,489ft (454m). The Pass can experience all sorts of weather. From blazing sunshine in the summer, to torrential rain in the autumn and heavy snow in the winter. Because of these extreme weather conditions the road can be very unpredictable. Throughout the year many accidents happen, some genuine mistakes, but sometimes it is because people don’t give the Pass the respect it deserves. The National Trust try to maintain roadside walls where possible, so every couple of years a team of Rangers from the Central and East Lakes ‘try’ and pick a sunny week to repair the numerous gaps that have appeared. This time we managed to pick the warmest week of the year. With the wall gaps identified and the ‘Stop’ ‘Go’ boards in place we could make a start. After a long, hot, sweaty week we managed to get a lot of the wall gaps repaired. So if you ever find yourself on Kirkstone Pass please take care and remember it’s not a race to get to the top, or bottom.